Marko screwed up. But he's good at swallowing his fear. By now, the 17-year-old 'Gypsy' should be far from Nazi Germany. By now, he should be with Alex. That's how they planned it. But while Marko has managed to escape the Gestapo, Alex has been arrested in the final round-ups of Berlin's Jews. Even worse, Marko’s little cousin Kizzy is missing. And Marko knows he’s to blame. A connection between my daughter and a Holocaust survivor. T﻿he story behind the book cover of Train. a glimpse at what could have been. and is the central text of the new Holocaust education program Overlapping Triangles. ​​​"It's a fascinating book. I couldn't put it down. ​"A stunning achievement... From the start, Train's historically grounded depiction of Hitler's young victims creates unrelenting compassion and suspense." ​"Train not only fills a gap in Holocaust literature; it is also powerful, moving, and hard to put down." 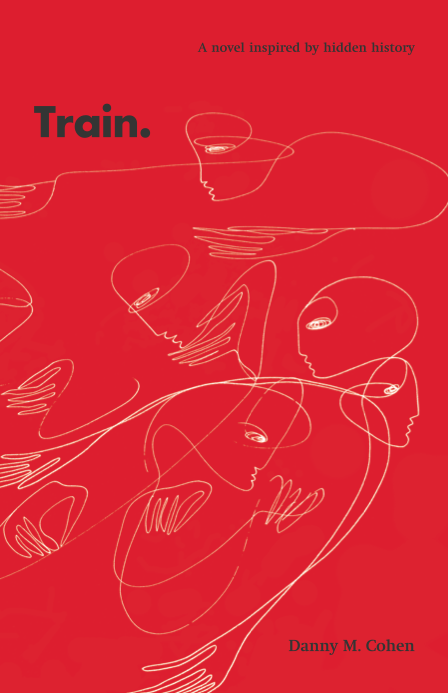 ​"Train is an essential read for Holocaust and Genocide educators, students, and anyone who believes in the profound power of brilliant storytelling, the resilience of the human spirit, and the need to shed light on and bring voice to the often shadowed narratives of the Holocaust." ​"Train will change the way we think about Holocaust history." ​"Train's six main characters' contradictions and complications make them reassuringly human rather than historical puppets. They form complex portraits of young love, sibling rivalry, and fading friendship." ​"It's a wonderful story, told frame by horrifying frame. What's happening on the page in front of you is at times so ugly, so abominable and raw, that that's the most beautiful thing about this book. It is an unflinching, cold, hard group of facts, laced with well-placed descriptions and with meticulously set plot progression. You want to turn away, but Cohen has created a story so harsh it's enchanting, and you'll stay until the end."